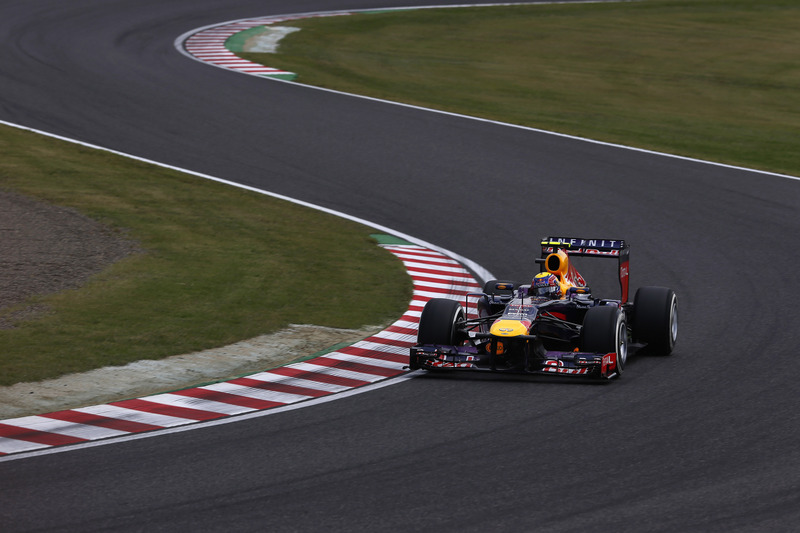 It’s always a pleasure to watch the uphill Esses section at Suzuka during qualifying – particularly during qualifying because race conditions frequently restrict a driver’s pace and movement to the car he is following. In qualifying, though, when usually the air is free, it is different. And, for the most part, they’re all trying pretty hard. I love this section of road not because of one particular corner, although Turn Six is, of course, critical: a perfect exit from T6 sets you up nicely for the straight that leads down to the two Degnas. I love it because it is impossible to be perfect through T6 unless you correctly manipulate the exit of T2, T3, T4 and T5. The usual errors are to be too quick in these preceding places. We saw Nico Hulkenberg be consistently so on all his runs: he was either a fraction too fast out of T2 or having to use too much road out of T4. He caught it all, of course; Nico does that. In a millisecond, though, he had “asked too much of the car”. Additional energy had poured into the loaded front or rear Pirelli (depending upon steering angle). Momentum, fractionally, had gone. Romain was similarly slightly-over-the-top. He has this sumptuous way of being able to use the rear of the car to re-set the values but, in doing so, he also creates too much excess energy. He’s got torque and twist going on at the rear in the middle of, say, T4; the E21 looks perfectly-poised…but in reality it’s not “flat” on the road. It’s a subtle thing, only visible when you see the car on the corner as a whole. You’d never touch it via the on-boards or via close-ups. Kimi? Kimi on Saturday to my eye looked to be a slightly edgier version of the real one. He never demanded too much from the tyres but his inputs seemed strangely more angular than usual. Perhaps it’s just a Kimi thing these days: the “real” guy gets out of bed on Sunday. I’ll talk more about all this on next week’s show. Here, I’d like to say “chapeau” to Mark Webber. He consistently – from Friday onwards – found exactly the right balance between short-term, up-the-hill pace and perfection by T6. This was classic Webber, back where he used to beat Seb on equal terms. No pesky, dumb, chicanes; no boring corners. (The Suzuka Chicane, with it’s downhill, open-space approach, is actually quite an interesting section of road: the key, after the rush of 130R, is not to brake too early.) Just a lovely section of medium-speed road with blind entries. Lewis similarly threaded the needle – and so, but to a slightly lesser extent, did Seb Vettel, Jenson Button and Valtteri Bottas, although Jenson seemed to want a little more from Ts 4 and 5 than they were ever going to give him. Perhaps that’s why he later described his laps as “fun”. I also liked Lewis’ “feel” for the wind change on Saturday at Suzuka. Trust him immediately to use this to his advantage; trust some others to use it as some sort of explanation as to why they were less-than-perfect.